Damon Lindelof’s Watchmen TV series is still in the early stages of development, with shooting currently underway and most people suspecting that it’ll air sometime in mid-to-late 2019. Still, we know that the show’s expected to introduce a host of new characters paired with an extremely talented cast, including stars like Regina King, Don Johnson, Tim Blake Nelson and even Louis Gossett Jr. They’re all quite excited about the project as well, with King recently saying that this new take on the property is “not a total redo. It’s its own world.” Whether that’s a good or bad thing, however, it’s too early to tell. The iconic comic book series was last adapted by director Zack Snyder in 2009 and was both dark and gritty, which is typical of Snyder’s style. 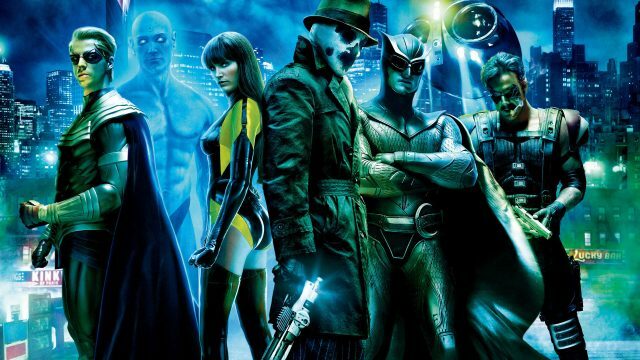 Though it wasn’t a total misfire, it certainly wasn’t the adaptation that fans had been hoping for and putting Watchmen on TV certainly makes more sense, as viewers will be able to enjoy the dysfunctional superheroes while being able to dive deeper into their motives and backgrounds, something Snyder had trouble pulling off in his film. This news should definitely get Watchmen fans excited. Considering the current political environment, superheroes tackling modern day issues is relatable for many and fits the themes Alan Moore and Dave Gibbons explored in the comics following the Vietnam War. Of course, likely questions lingering on fans’ minds are will Rorschach’s journal play a role in Lindelof’s new adaptation, and is there a possibility of Dr. Manhattan returning to Earth? Other original characters like Ozymandias (Adrian Veidt), Nite Owl (Dan Dreiberg), and Janey Slater might still be alive, but from the sound of things, they won’t play a huge role in the upcoming HBO series. Removing them completely could turn off some comic purists, but it also has the potential to introduce a whole new fanbase to Moore and Gibbons’ work. Whatever Lindelof has up his sleeve for his new project, loyal fans will surely be watching every move he makes extremely closely. After all, when it comes to a classic like Watchmen, there won’t be much forgiveness from the fandom if he strays too far from the original themes explored in the comics.